The Spymaster’s intel indicates that the Fiat Chrysler Automobiles (FCA) division will introduce an all-new Jeep JK Wrangler truck either late this year or in early 2019. 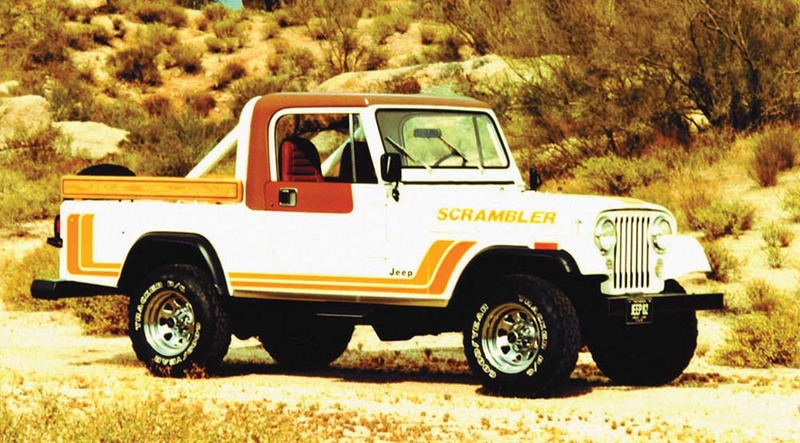 The model, to be called The Scrambler, revives a name attached to a previous pickup that dates back to the early 1980s. Word has it that, as is the case with the current two- and four-door Wranglers, buyers will be able to remove the Scrambler’s roof and its front and rear doors, and fold down the windshield, thus providing an experience unlike that of any other pickup on the market. It’s expected that both the 285-horsepower V-6 and the optional (and torquier) 270-horsepower partial hybrid four-cylinder will be available. Pricing has not yet been announced, but a base Scrambler is expected to sticker in the mid-$40,000 range.